All your hard work has paid off. You just found your dream house. Maybe you even managed to get a deal on it. Or, maybe you paid twenty percent over the list price. It’s still your dream house, and you’ll figure out a way to come up with the extra twenty percent. You’ll cut expenses, starting with that thing called title insurance. After all, the house is in the city, and it has had the same owner for the last forty years, so how could there be any problems with the title? 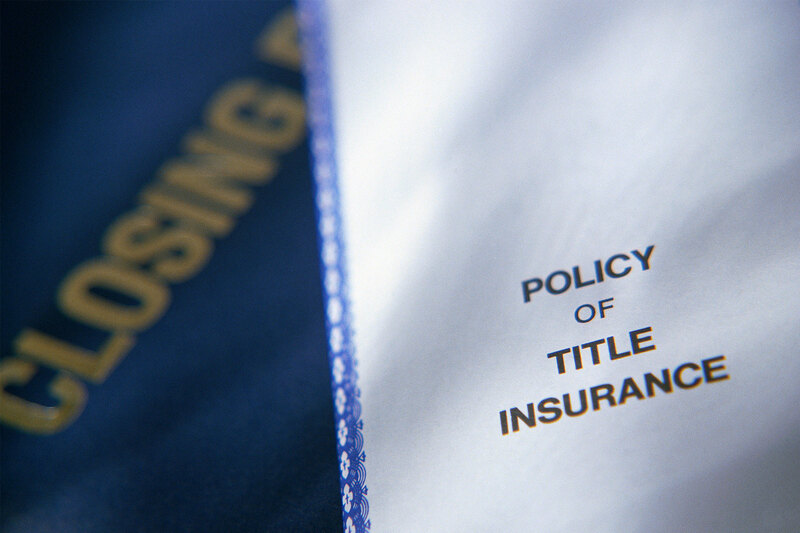 What is “title” and why do I need to insure it? When you buy a piece of land, you don’t get handed the piece of land — you are given title. Title is the owner’s right to possess and use the property. How a home is titled can vary. For example, title might be held as tenants in common, as joint tenants, there may be a right of survivorship, or there might be a life estate in the home. In addition, as you might imagine, there are many uses for land and rights can be given or sold for such uses. Someone other than the person you think of as owner of the property itself may own mineral, air, or utility rights on the property. A bank with a mortgage on the property owns an interest in the property, as does someone who has done work on the house and filed a lien against it. The government may also have liens against the property for unpaid taxes, and the city may have an easement giving it the right to string utility lines across the front yard. How does a title search help? Once you know whether there are limitations on the use of the property or liens against the title, you may wonder why you cannot just deal with those issue before you purchase the property? Why would you need insurance once you know about all the problems? Isn’t it like buying fire insurance after your house has burned down? In fact, buying title insurance is a little like buying fire insurance on your burned down house. Most people are familiar with the kinds of insurance that covers events that have not yet happened — automobile liability insurance, medical insurance, life insurance are examples of such policies. Usually, these policies exclude events that occur before the date the policy is issued. In other words, you cannot get life insurance on someone who has already died, and you will not find an insurance company willing to give you insurance coverage for a car accident that has already occurred. Title insurance, on the other hand, covers events relating to the title that have already happened. It does not cover anything that happens to the title after the date of issuance. If you have liens filed against the property for taxes that you didn’t get around to paying, your title insurance policy is not going to help you. But, if the lien is for taxes not paid by someone who owned the house eighty years ago, then you may have coverage under your title policy. Before offering to issue a title insurance policy, a title company will do a title search to learn whether there are any problems or limitations with the title. This search is done in an effort to minimize the risks of offering insurance. By minimizing the risks of claims being made, a title insurance company is able to offer its insurance policies for a relatively low, one-time fee. Problems such as deeds, wills, and/or trusts that contain improper vesting and incorrect names, outstanding mortgages, judgements, and tax liens, easements, or incorrect notary acknowledgments are generally found through the title search and usually can be cleared up before the closing on the property. When these problems are not cleared they will often be listed as exceptions to the policy’s coverage. You would then need to decide whether the property is still something you want to purchase given the known problems with the title. Perhaps you are wondering what the point of title insurance is if the title company won’t cover known problems with the title. Isn’t it like buying medical insurance that won’t cover you if you get ill? The answer is “not really”. 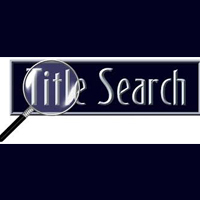 There can many problems with a title that even a diligent and trained eye may not uncover during a title search. What title problems can arise? Examples of problems that can come up after you purchase your property include fraudulent acts by prior owners — such as forged documents that transfer no title to the real estate, forged mortgages, or forged satisfactions or releases of mortgages, impersonation of the true owners of the land by fraudulent persons, and/or instruments executed under expired or fabricated power of attorney. In addition, the deed may have been executed by someone who forgot to get divorced before he remarried, who forgot he got divorced and has inherited the property as the surviving spouse, or who forgot that he already sold the property to another purchaser who is now in possession of the property. Or perhaps you have acquired perfectly good title to a piece of property for which there is no legal access. Although the events that cause these types of problems happened before you purchased the property, a good title insurance policy will provide coverage for the consequences of these events as they affect your ownership of the property. There are two types of policies available, a lender’s policy and an owner’s policy. Your lender will probably require that you obtain a lender’s policy. The lender requires this because the loan is made with the property as security. Any defect in the title of the property affects the value of the lender’s security. Because the lender is only interested in protecting its security, the lender’s policy only covers the amount of the loan. As you pay back the loan, the value of the lender’s policy decreases. Your equity in the property is not covered by the lender’s policy. As time goes by and you dutifully pay back your loan, your exposure increases, unless you have an owner’s policy. An owner’s policy covers the total amount of the value of the property at the time the property is purchased. The cost of such a policy is relatively low since the increase in the risk for the title insurer is not much greater than if it only insured the lender’s interest. Since your interest, unlike the interest of the lender, may increase over time, you may want to consider purchasing an inflation rider that will adjust your amount of coverage to reflect the increase in the value of your property over time. The coverage of your policy is not just limited by the face amount of the policy. As noted above, there may be other restrictions on the policy that will be set forth in the “exceptions” section of the policy. These exceptions are usually for items that were discovered, but not resolved, prior to the closing. The exceptions may also include some standard items for which you may be able to purchase extended coverage. Imagine that you have found your dream home. Your offer is accepted, you close the deal, you move in. Then, just as you’ve started to make the house your own, the mail carrier delivers news that turns your world upside down: There was a lien against a previous owner, and now it’s been passed on to you. That’s exactly what happened to Lori Moore and her husband. “We had barely gotten everything settled in the house when two weeks later we received a letter from an attorney about a pre-existing lien on the house against the prior owner that now carried over to us as the new owners,” says the Louisville, KY, resident. The lien had been missed during the title search process because, Moore says, the county clerk had filed it in a way that made it hard to find. At first, Moore says, they weren’t too concerned. The Moores were left holding the bag for $2,000 to pay off the lien and attorney costs. “If we would have bought [owner’s] title insurance to protect us, we wouldn’t have had to come up with that money as newlyweds and new homeowners,” Moore says. As Moore and her husband learned the hard way, there are two types of title insurance policies. Title insurance, in general, offers protection against any problems with the title, or legal ownership status, of the home. Any lien against a home or competing claim of ownership could jeopardize your financial stake in it, as well as your mortgage lender’s. So the lender’s policy covers the lender’s stake, while the owner’s policy covers your own. A bank will typically do a title search as part of the mortgage approval process to determine what, if any, legal claims and rights are attached to the house—and, ideally, prevent these kinds of problems. But no matter how thorough, a title search can’t rule out a relative or heir of a seller popping up with paperwork that appears to give them claim to a property. And sometimes, as in the Moores’ case, there are paperwork snafus. Hence the insurance. Sometimes a distant relative—or an ex-spouse—may surface with a claim that they actually own the property, in whole or in part, and that the seller had no right to sell it to you. If that happens, a judge could confirm the party’s claim, which means you could be faced with buying them out, having to negotiate, or … setting a bathroom schedule with a new roommate, says Marc Israel, president and chief counsel of MIT National Land Services, a title company in New York City. And say good-bye to that equity. “A buyer could potentially be out their down payment and any principal paid toward the house,” says Dave Zawadzki, senior account executive at Proper Title, LLC, in Northbrook, IL. If a judge rules in favor of someone staking claim to a house, the lender’s title insurance policy will only pay for court costs incurred by the bank, and it will reimburse the bank for what you owe on the mortgage if the sale is deemed null and void, Zawadzki says. An owner’s title insurance policy will cover your financial losses, such as attorney’s fees and court costs, even if you have to move out of the house. The adage that good fences make good neighbors might not hold true if it’s discovered that someone put up a fence, deck, shed, pool, driveway, etc., on your new property. And should that happen before you close, Israel says title insurance will pay the cost of any legal battle or efforts to settle the matter out of court and have the item removed from property that is legally yours. Just as with liens, it’s possible a title search might not uncover a mortgage until after closing because it was posted incorrectly with the county recorder, Israel says. “Because the buyer received a clear title at closing, if an owner title insurance policy is in place, the buyer just has to file a claim and the policy will pay off that lingering mortgage,” Israel says. Zawadzki says that even though a tax search might come up with no delinquent taxes on a property, that doesn’t mean a buyer couldn’t subsequently receive notification of delinquent back taxes after closing. And that bill could be heavy—unless the buyer has owner’s title insurance. Israel says a title insurance policy is issued the day of closing. It’s paid for then, too. “The cost can’t be built into the mortgage,” he says. The one-time premium cost varies by location. “Every state regulates the price of title insurance, which is always tied to the purchase price and/or mortgage amount,” Israel says. Even if the chances are low that past owners or old tax bills might surface, it’s worth it to at least have a conversation with your attorney and/or title company about title insurance. If you’re on the fence about plunking down money for a policy, Israel suggests reviewing your finances. Ask yourself how you would handle the financial and possible relocation expenses if you were to suddenly awaken to a title-related nightmare. No sensible car owner would drive without insurance, so it figures that no homeowner should be without insurance, either. Title Insurance: Purchased with a one-time fee at closing, title insurance protects owners in the event the title to the property is found to be invalid. Coverage includes “lenders” policies, which protect buyers up to the mortgage value of the property, and “owners” coverage, which protects owners up to the purchase price. In other words, owners coverage protects both the mortgage amount and the value of the down payment.